Portable Bunk House Manufacturer in Delhi, Portable Bunk House Supplier in Delhi, Portable Bunk House in Delhi. DTH is one of the leading manufacturers and suppliers of a broad range of Portable Bunk Houses. These bunk houses are manufactured spacious, very much light in weight and easy to install anywhere. These convenient bunkhouses are manufactured using the finest quality of raw material and cutting-edge technology. 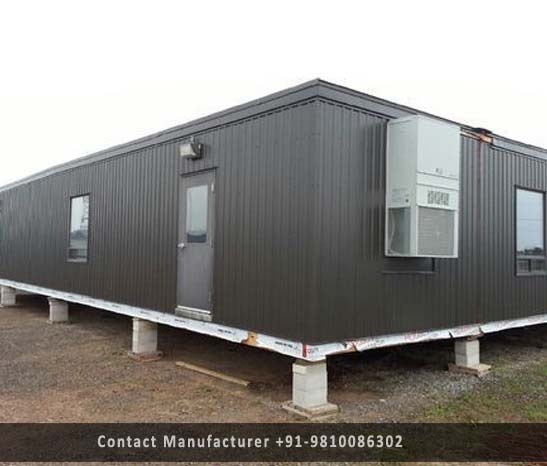 In addition, these Portable Bunk Houses are available in different specifications and sizes as per the requirements of clients. Our bunkhouse is highly appreciated by our clients due to its features like fine finish, compact size and durable finish standards. We make every bunkhouse as special and give that a perfect finish with weather resistance.